Our house has a few large trees close to the balcony deck. The trees are home to a few squirrels and our toddler has come to adore their cute antics. Her favourite is when the squirrel grabs an acorn and nibbles away at it with her teeth and hands. So cute! In fall, Acorns fall to the ground and squirrels pick them up burying them for use in the winter hibernation season. Often, not all the acorns get consumed leading to the birth of new oak trees in a few months. And, these natural cycles continue. For this fall season, we decided to craft this interesting and ecological critical activity using our special magnetic craft technique. The falling acorn, the squirrel grabbing it and then nibbling away it never fails to put a smile on our toddler's face. And, serves as an important lesson on the cycle of life for little kids to remember. 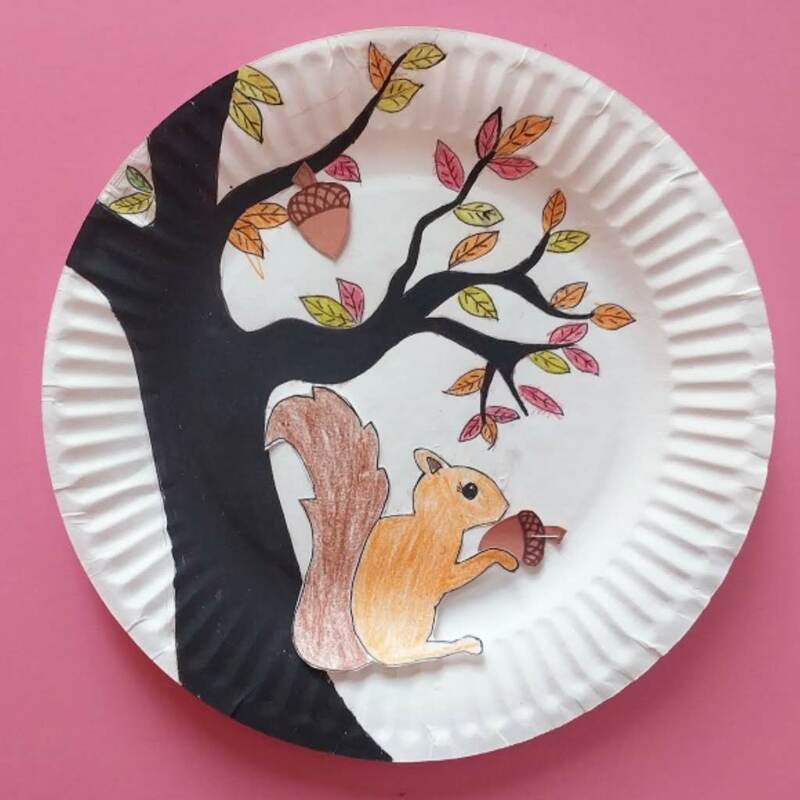 This is a fun school project to talk about the vital role squirrel plays in sustaining plant communities in our ecosystem. 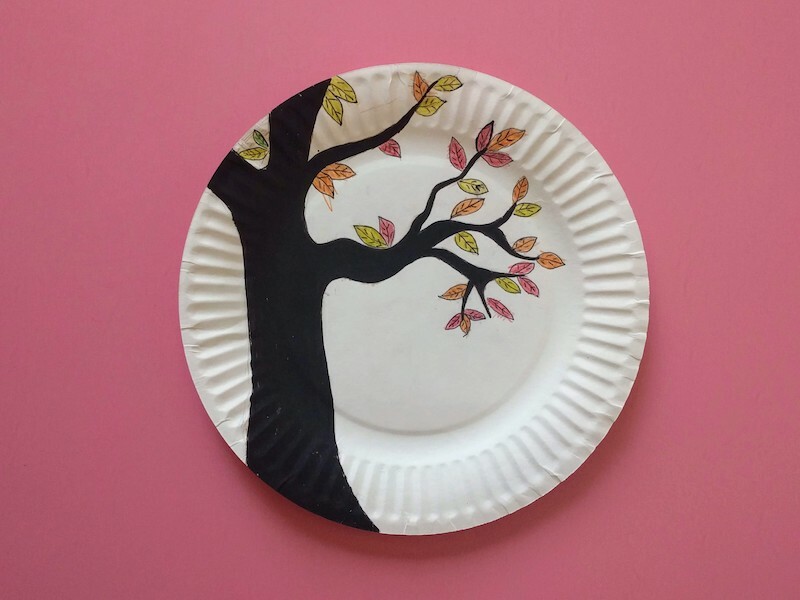 This also makes a perfect STEM fall project idea for kids. 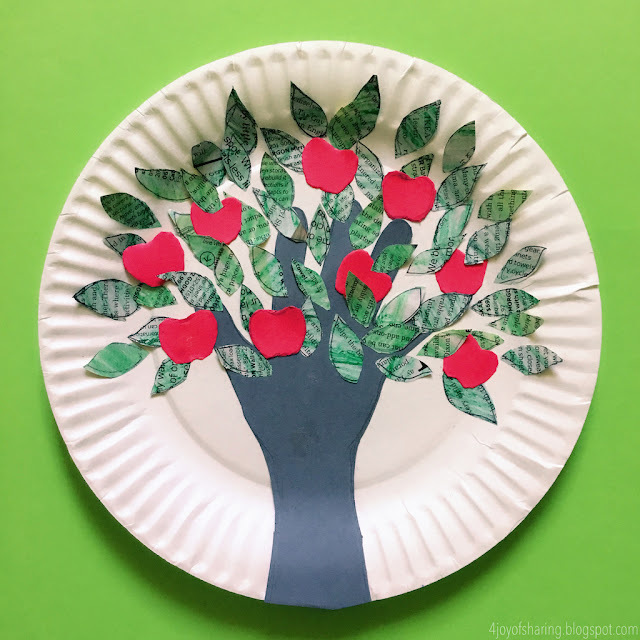 Parents and Teachers can make this craft with toddler, preschool and kindergarten kids. 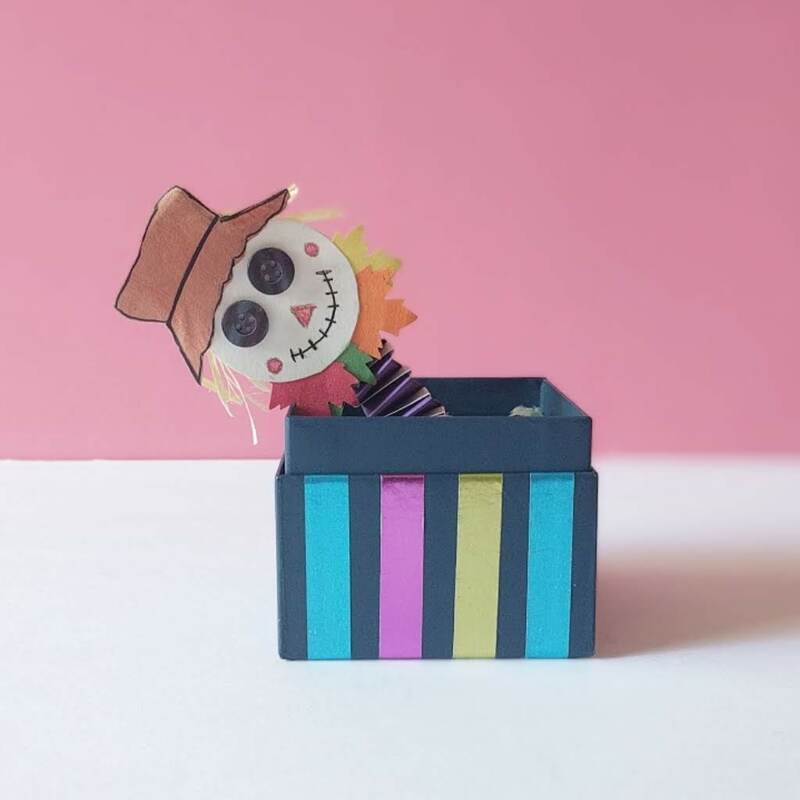 This is a fun DIY toy and sure to amuse young children. 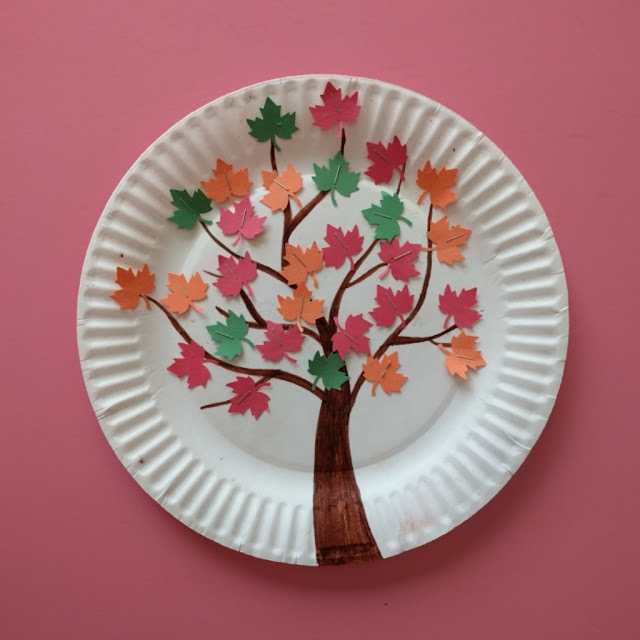 If you like this magnetic craft project, I'm sure you will also enjoy making this Magnetic Fall Leaf craft. For more fall craft ideas, don't forget to follow our Pinterest board - Fall Crafts & Activities. This post contains affiliate links to the products mentioned. Read our disclosure policy for more information. 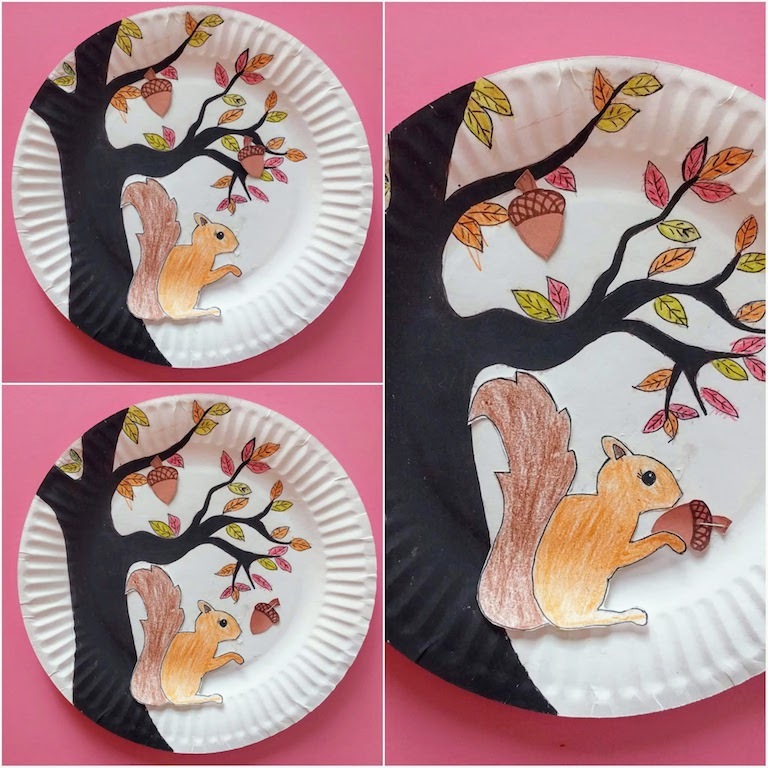 HOW TO MAKE ACORN AND SQUIRREL FALL CRAFT FOR KIDS? Join our mailing list to get exclusive access to our free printable library. Note: After you subscribe, you will receive an email from 'The Joy of Sharing' with a link to claim your printable template. 1. 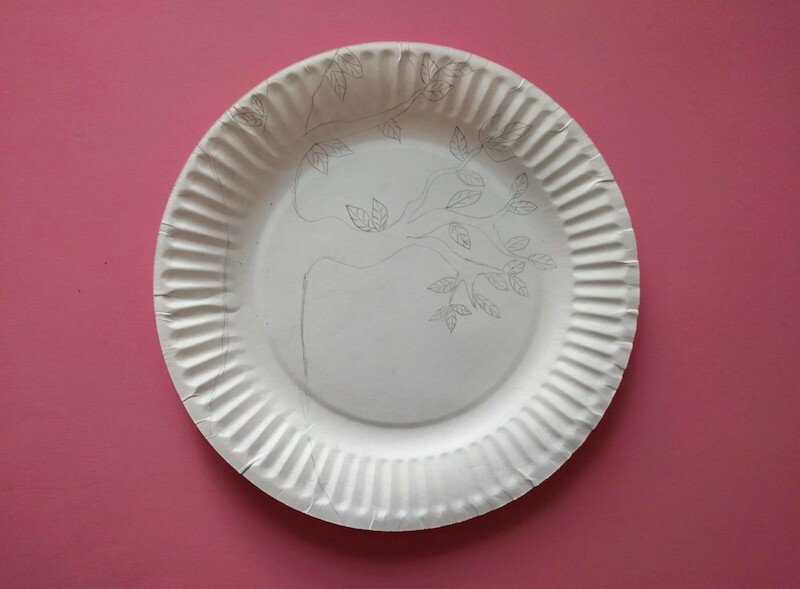 Draw the tree stem and branches on a paper plate. 2. 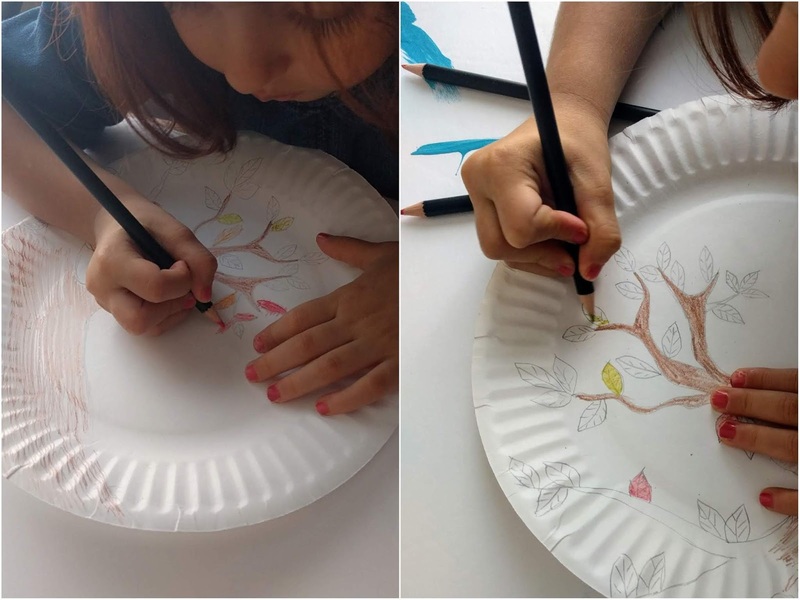 Draw the leaves on the tree. 3. Color the tree using pencil colors. 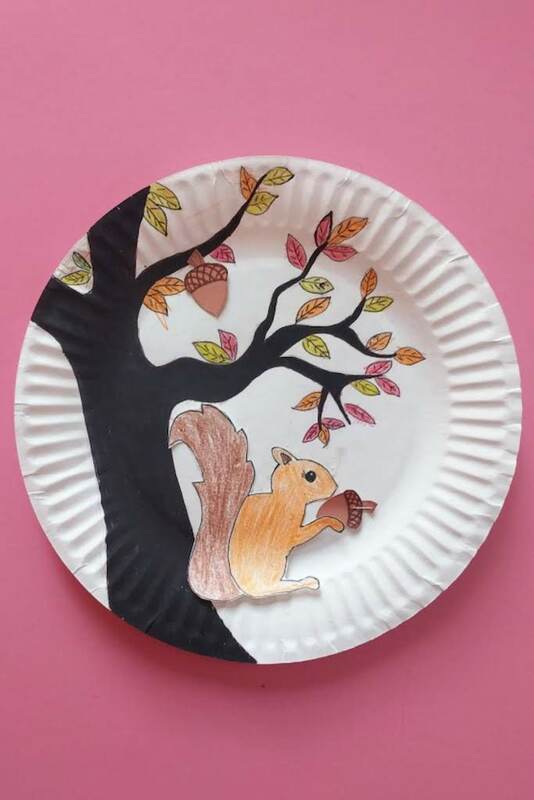 We colored the stem and branches brown first but later decided to change them to black to make brown acorns and squirrel stand out. 4. Outline the leaves using a black sharpie marker. 5. 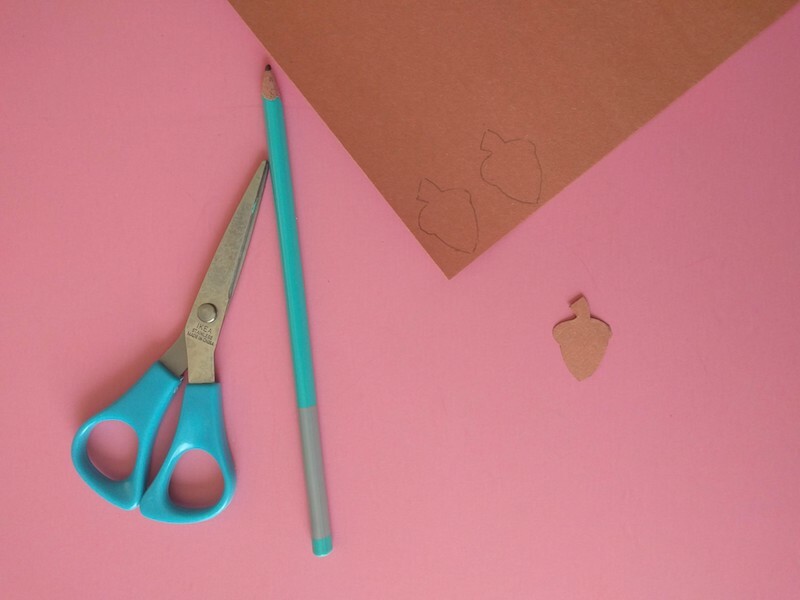 Trace and cut out the shape of acorn from brown construction paper. 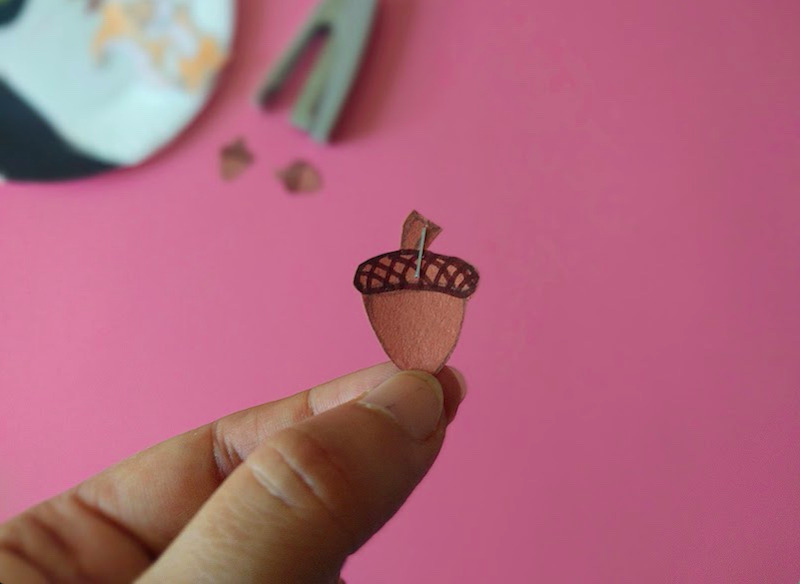 You can use the printable acorn template. 6. 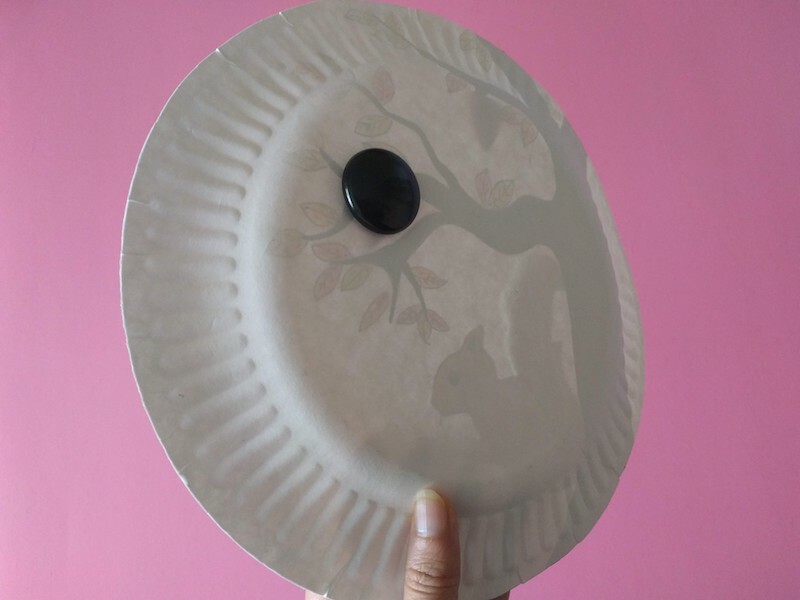 Draw the pattern of the acorn cap using a brown marker. Add a staple to one acorn to make it magnetic. 7. 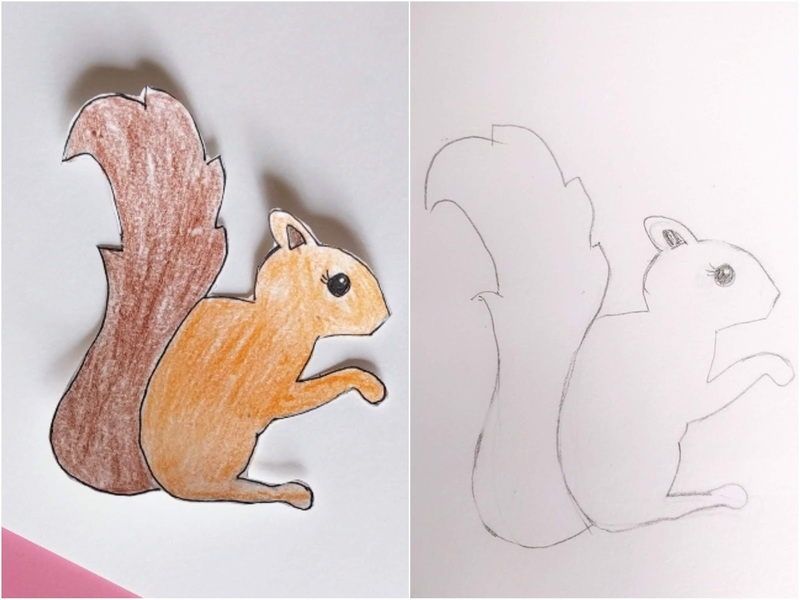 Draw a simple squirrel on white construction paper. Color and cut out the squirrel. 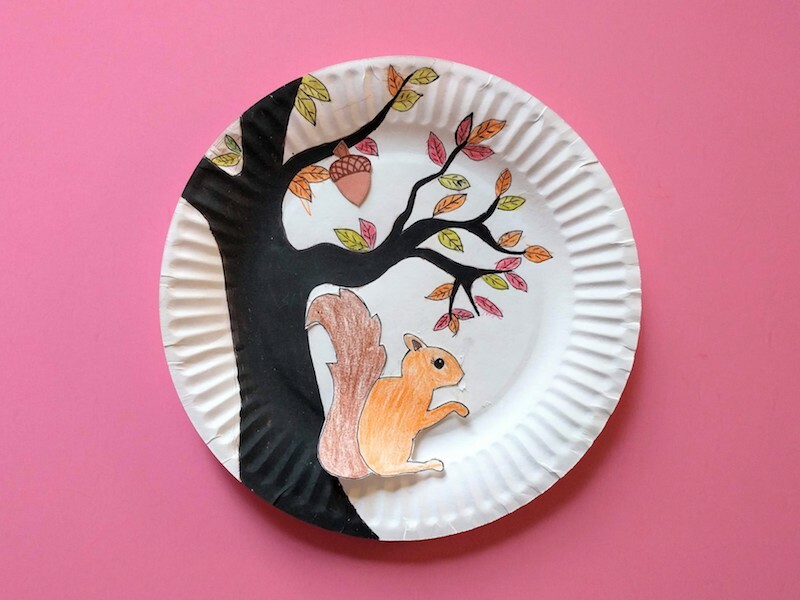 You can use the printable squirrel template. 8. Glue one acorn to the tree. 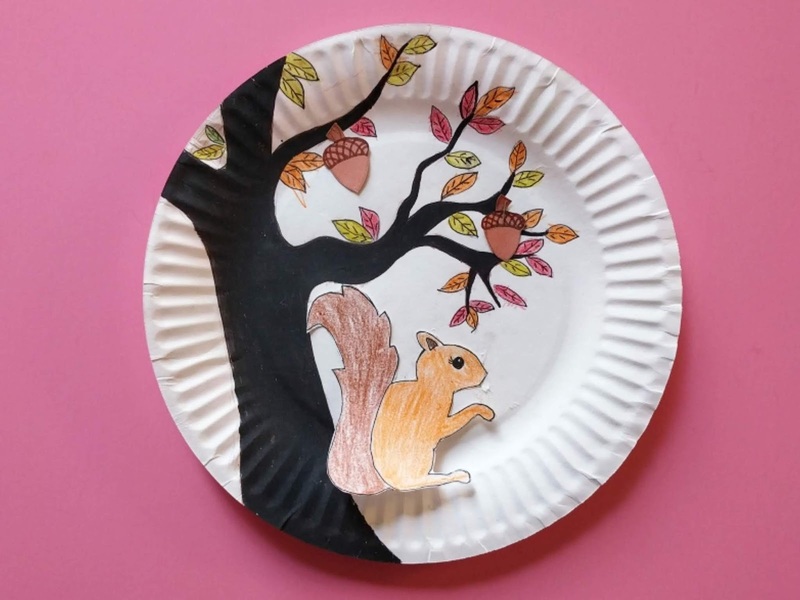 Also, glue the squirrel to the paper plate leaving the hand of the squirrel unglued. 9. 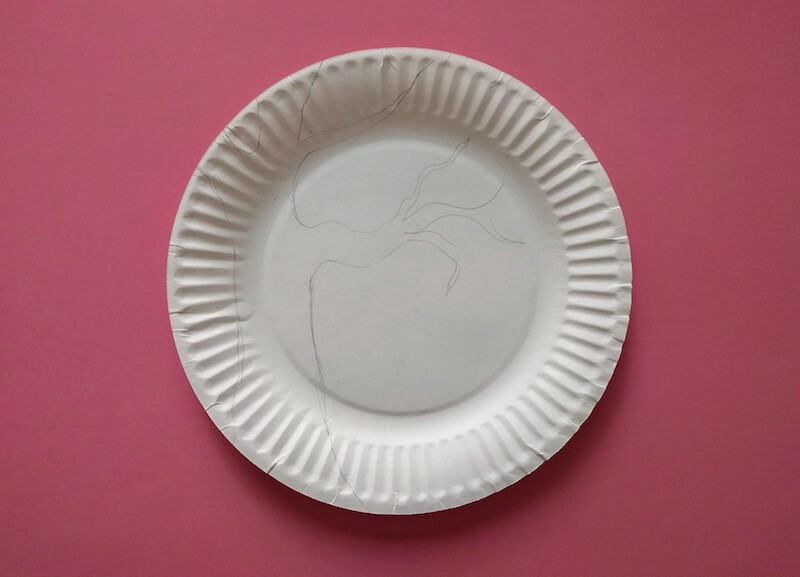 Add the magnetic leaf and hold it on the paper plate using a magnet from the back.